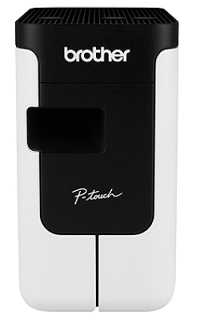 With the stylish PT-P700, offices are now able to easily label their way to a more organised workspace environment. This compact addition to the P-touch lineup provides for quick labelling with a speed of up to 30mm/sec. At the same time, the PT-P700 offers great user flexibility and connectivity, including Plug-and-Play USB compatibility. In addition, the PT-P700 is now more versatile when used with the new P-touch Editor Version 5.1 software. Users are now able to choose from a wider range of label designs. The PT-P700 offers simple connectivity – so there's no software or drivers to install. Simply connect to computer via USB and launch the built-in software to get started creating professional labels. Prints 6, 9, 12, 18, and 24mm, TZe laminated labels.